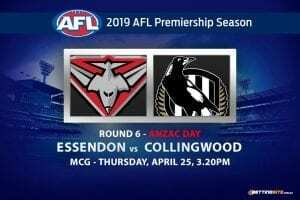 Online betting sites are predicting a lopsided round 5 of the 2019 AFL season, with the odds suggesting a long weekend of blowouts and predictable results. 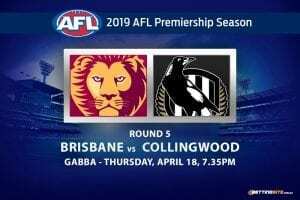 Round 5 will kick off on Thursday night with Collingwood the $1.53 favourite to defeat the resurgent Brisbane ($2.39) at the GABBA, in front of what is expected to be a sellout crowd. 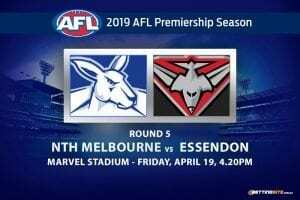 Essendon ($1.53) is expected to defeat North Melbourne ($2.39) at Marvel Stadium on Good Friday, after bouncing back to form with wins over Melbourne and Brisbane. Reigning champion West Coast is priced at $1.20 for its clash against Port Adelaide ($4.25) at Optus Stadium on Friday night. 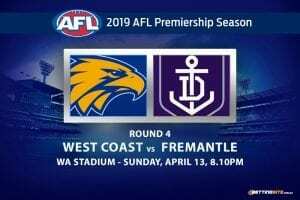 The Eagles, after a lacklustre opening round, have bounced back into form with their latest win coming over arch rival Fremantle. 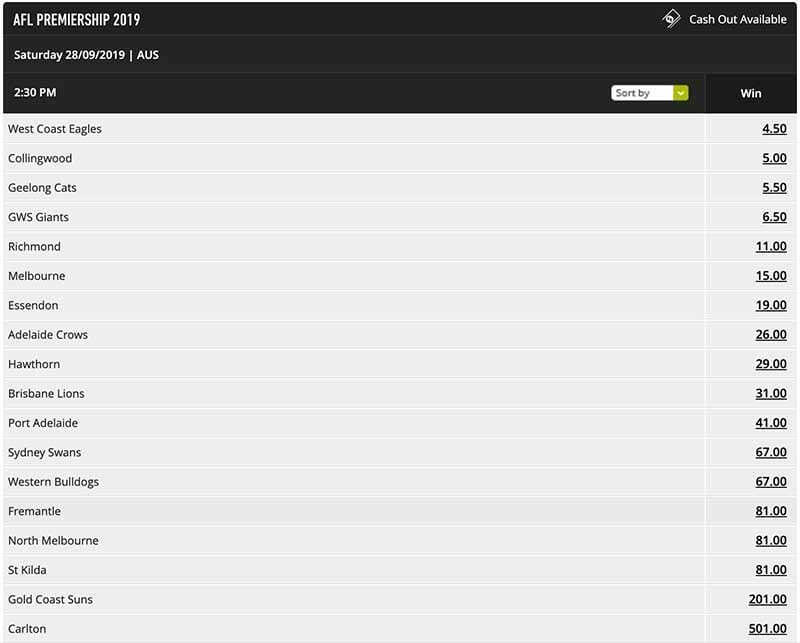 On Saturday, GWS is unbackable favourite for its clash against Fremantle, priced at $1.14 to continue its strong start to 2019, while the Dockers, who will again be sweating on the fitness of skipper Nat Fyfe are $5.30 outsiders. 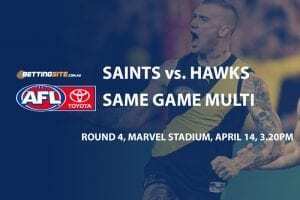 Melbourne, which recorded its first victory on the weekend, is the $1.37 favourite to defeat surprise packets St Kilda ($2.92), which stunned Hawthorn on Sunday to record its third victory from four starts. 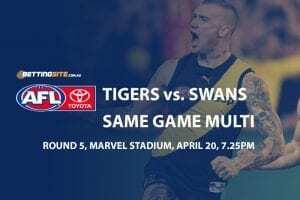 Richmond ($1.41), fresh off breathing life into its flagging season, will fancy its chances of winning two on the trot when it hosts Sydney ($2.78) on Saturday night. 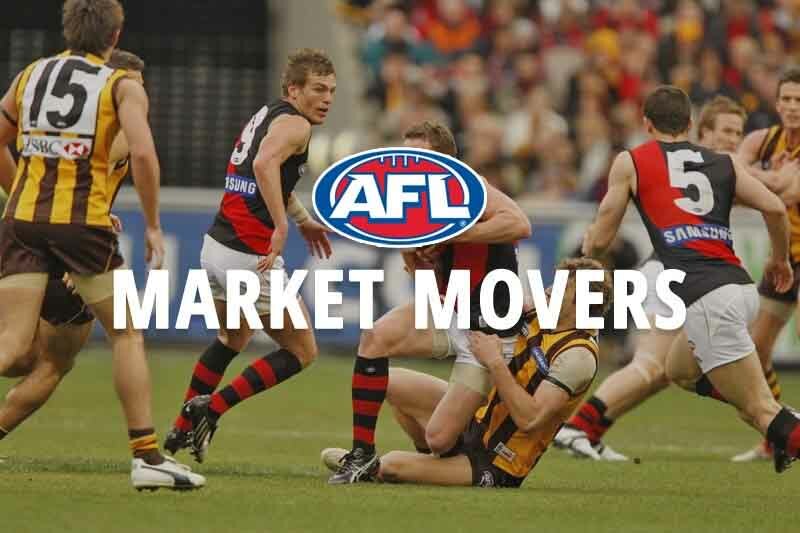 The gritty Western Bulldogs are priced at $1.35 to defeat wooden-spoon favourite Carlton ($3.01) on Sunday after their capitulation against the Gold Coast. 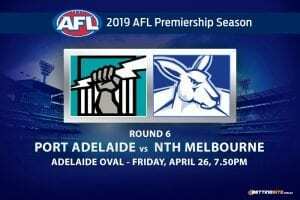 Adelaide ($1.20) take on the Gold Coast ($4.25) in Adelaide on Sunday with the Crows desperate to arrest their slow start to the season, against the much-improved Suns. The final match of round 5 in the AFL will see Hawthorn ($2.75) take on Geelong ($1.41) which will be smarting following their loss at home to the Giants.